Air India: Can the national airline survive botched privatization? Can Air India survive its botched privatization? India may have to completely let go of its national airline if it wants to save it. The Indian government's attempt to sell 76% of Air India has so far failed to drum up any interest. It now faces a stark choice: Continue to pump in billions of dollars of taxpayer money to keep the loss-making airline flying, or allow it to be taken over entirely and possibly broken up. 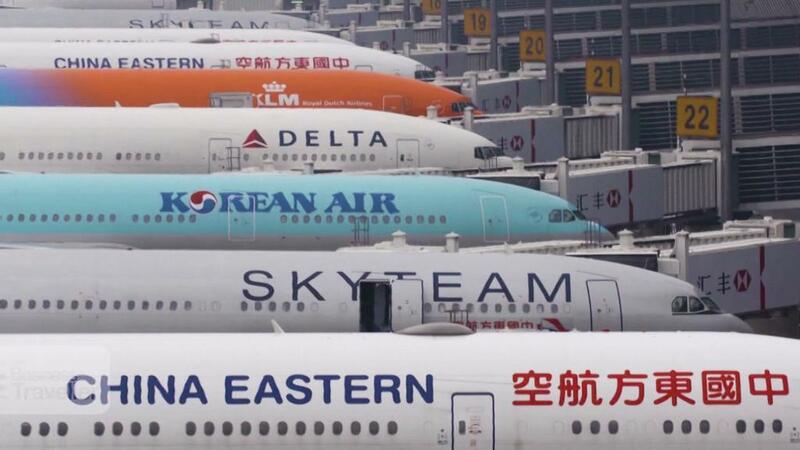 "In the current framework, the airline cannot survive without government-injected funds," Vaidyanathan Krishnamurthy, a professor of finance at the Indian School of Business, told CNNMoney. "It will continue to bleed cash." Air India is expected to lose around $2 billion over the next two years, according to the Centre for Asia Pacific Aviation (CAPA). The airline has been kept alive in recent years by a $4.5 billion government bailout in 2012. Prime Minister Narendra Modi has been trying to privatize debt-ridden Air India for more than a year in order to save the government billions, but its conditions for the sale were too rigid for potential buyers. Those conditions — most of which analysts say must change — included the government retaining a 24% stake and an order that the new owner couldn't lay off any employees or merge Air India with another airline. The government seems prepared to soften its stance on at least one of those conditions. Subhash Garg, a senior official at India's finance ministry, told Bloomberg that the government's stake in the airline "can be re-examined." Garg did not respond to requests for comment on the government's plans. Air India did not respond to requests for comment. The government also wanted buyers to take on $5 billion of Air India's debt. Krishnamurthy said the government should consider a separate sale of real estate owned by Air India to cut its overall debt of more than $7 billion. "Reducing debt also makes the sale attractive," he added. If it fails to find a buyer soon, the government will have to decide how much longer it can afford to keep supporting the airline. Providing the huge subsidies needed to pay Air India's nearly 17,000 staff and meet rising fuel costs could even take the edge off India's economic growth by depriving other programs of funds, analysts have warned. "The government will be faced with the difficult choice of cutting spending or running a bigger budget deficit," Shilan Shah, India economist at Capital Economics, wrote in a recent note. A bigger budget deficit could inflate India's borrowing costs, further damaging the economy. Despite all its troubles, Air India still accounts for around 17% of all international traffic in India, which is projected to become the third largest aviation market in the world by 2026. The airline carried almost 19 million passengers during the last fiscal year. "A stronger, restructured Air India can deliver significant indirect benefits to the Indian economy," analysts at CAPA wrote in a recent note. The airline is currently run by a board of senior Indian bureaucrats and falls under India's aviation ministry. If the Modi government is forced to keep the airline, it should at least stop trying to run it and follow the lead of Air India's peers like Malaysia Airlines, Krishnamurthy said. "[The government should] hire somebody from the airline industry as the CEO who has experience in turning around sick airlines," he suggested. "Run it for all practical purposes as a non-government entity with minimum interference ... you need specialists here to do the job."